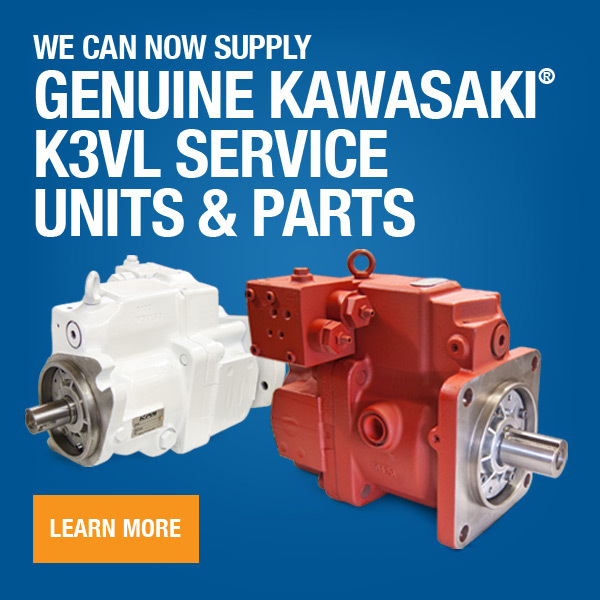 We carry a large inventory of remanufactured hydraulic pumps, motors and control valves for mobile applications. 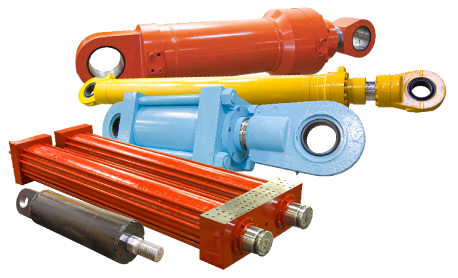 We repair, stock and manufacture new OEM spec cylinders for many applications and industries. With our specialized cylinder departments (large, small, telescopic), we can do it all. 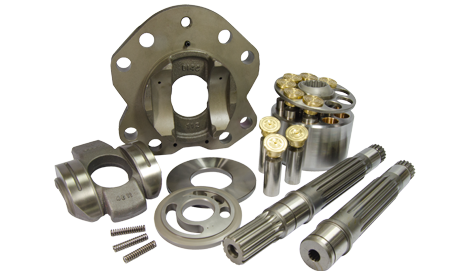 Stocking OEM and aftermarket piston pump replacement parts for manufacturers such as: Kawasaki, Bosch/Rexroth, Linde and Hitachi. Our expert technicians have the experience and technical knowledge necessary to provide high quality repairs on pumps, motors, valves and cylinders for many applications and industries. Started in 1975, Hydraulic Repair and Design, Corp. (HRD) is one of the largest full house repair facilities in the United States. With a focus on hydraulics, HRD has the capabilities to repair, remanufacture or source (new) any hydraulic component used on today's mobile and industrial machines. This includes pumps, motors, valves, and all types of cylinders. 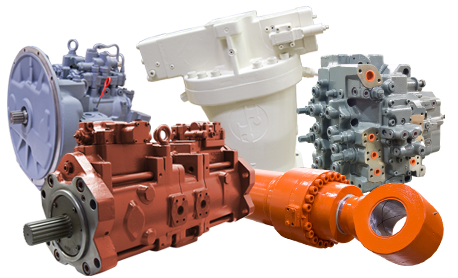 We stock an extensive inventory of reman units from multiple manufacturers for many mobile hydraulic applications. We buy surplus hydraulic cores. Send us your list with as much information as possible and condition of unit, and we'll make you an offer. In Need of a Repair? 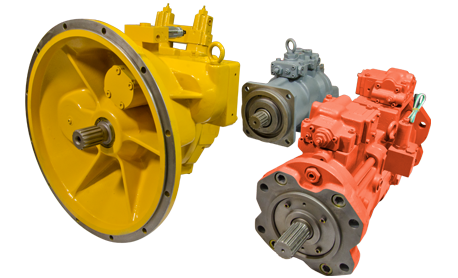 We offer a Repair & Return service on many hydraulic pumps, motors, control valves & cylinders from a variety of manufacturers.